God let Rachel Westing down. For twenty-six years she’s done everything by the book; she figures He should have her back. But then she learns her fiancé is cheating on her. Her parents are getting a divorce. And her Christian mentor has a pill addiction. Where is God in all this? Nowhere, as far as Rachel can see. Wounded, bitter, and with a shattered faith, she quits her job and moves across the country to live with Daphne—her childhood best friend whose soul Rachel once thought she was meant to save. Born and raised in the suburbs of Chicago, Alison began writing stories in elementary school, following in the footsteps of her journalist/author father, Lee Strobel. She moved to California where she was inspired to write her first novel, "Worlds Collide," which released with Waterbrook Press in 2005. Her sophomore release, "Violette Between" came the following year and earned her a Rita Award nomination from the Romance Writers of America. After writing "Violette Between" Alison took a break from writing to enjoy life with her new baby girl Abigail. 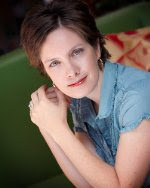 She now has another daughter, Penelope Jane, and four more books: "The Weight of Shadows" and "The Heart of Memory" (with Zondervan Publishing), and "Reinventing Rachel" and "Composing Amelia" (with David C. Cook), as well as two children's books with her husband under the name Ali Morrow. Alison has been on a writing hiatus since 2011 and hopes to return in 2016 with a new release. Rachel sure needed to discover herself. She was always a firm believer and she thought she was living right, but soon learned there was more than meets the eye. After embarking on a journey of self-discovery, far away from her parents, she really learned and valued the true meaning of how to live. She struggled though. 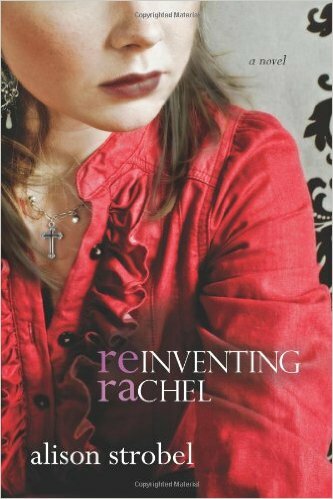 I even wondered at one point if Rachel would come out of it again. I'm glad she did, but not every one was so lucky. Such a great book. Teaching Rachel and even the reader what is important in life. Plus have you asking yourself what you think about God. Is the God you think of the same God as others? Read the book and see what I mean. Very clever, on the author's part. **No compensation was received for posting. Compensation will be earned if purchases are made from the links within. This copy was obtained free on Bookshout. Opinions are owned by Freda's Voice. This sounds really interesting. I've only read one book by Stroble which was Weight of Shadows, but I loved it. Don't know why I never read another one, other than "so many books".